It is that time again! Ten years ago, in 2003, Bethany Baptist Church believed that God was leading us to plant a church in Bartonville. We had not strategically planted another congregation in decades and yet the leadership of BBC became convinced that God would be most glorified as we trusted Him to plant another church through us. What joy to watch God Work! God gave us a little building and a small piece of land. Then God gave us a church-planting pastor in Art Georges. Then God gave us a bigger piece of land and a school building in which to meet on Sundays. As we walked forward in faith, God kept confirming His pleasure in establishing a new church. Around 100 people from BBC believed that God was calling them to join this new church plant. Today, Living Hope Community Church has over 220 people worshipping Christ each Sunday, and many of those are new believers! BBC would never have been able to have a hand in encouraging or reaching those new people apart from active obedience to God in planting a new church. Five years later in 2008, Bethany again believed that God was directing us to plant a new church. Again, what fun it was to watch God work! This time the Lord directed our focus upon Washington, Illinois. Though we were in the midst of plans to construct a new church building, we believed that God would not have us delay in planting a new church. God again gave us land. He also supplied two great servants in Daniel Bennett and Ben Davidson to help us plant this new church. God provided a meeting place for this new church in the beautiful and brand new Five Points Center. Again, God kept confirming His pleasure as we stepped forward in faith. Over 275 people from BBC joined hands in this new endeavor. Today, over 600 worship at Bethany Community Church. What sweet joy to see God bless His church. Each of the first two church planting endeavors began in dependence upon God to guide and to bless the church-planting mission that He gave to us. Without God working, our best efforts will be failures. So I am writing this article to ask that you begin to pray regarding the Bethany Fellowship of Churches next church plant. We are excited to partner with Bethany Community Church and Living Hope Community Church in the Christ-exalting endeavor of planting a new church so that we might proclaim Jesus as Lord and prepare God‘s people for worship now and into eternity! Currently, we believe that God is leading us to plant a church near the West Bluff neighborhood located close to Bradley University. This church plant would not likely be a ―college church per se, but rather a church that would have a healthy ministry to college students. This church would also position Bethany Fellowship closer to the issues that confront the inner city and allow us a hand in bringing God‘s grace to those issues. At this point, we do not know the answers to many detailed questions that could be asked: Who will pastor this church? Exactly when would this church be launched? Where would this church meet? 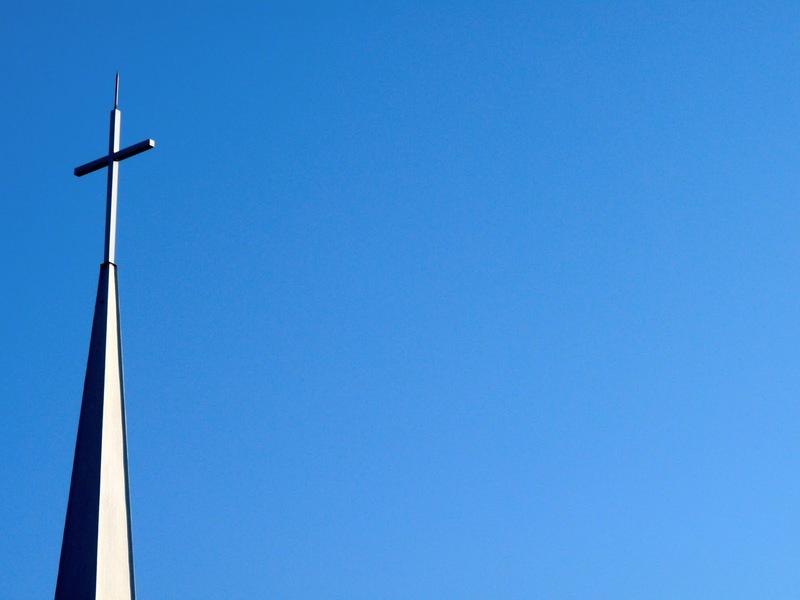 What would the worship services look like? We are trusting God to lead us in the discovery of all these important issues. We anticipate in faith that the LORD will lead us to answers to these questions over the next several months. Here is what we DO know: God is glorified through the planting of healthy churches. God uses such churches to reach new communities in new ways and to transform individuals and whole families! The Great Commission demands we think not only about individual converts, but also about new church plants. We are zealous to plant a church that is Gospel-driven, missions focused, doctrinally rooted, Christ-centered and Spirit-filled! One practical distinctive that we design for every church plant from the Bethany Fellowship of Churches is a commitment to the expositional preaching of God‘s Word. We believe that God uses the expositional preaching of His Word to mature a church in faith and ministry. His Word is our food! Won‘t you set aside some hours to pray with us about a new church plant? Pray that God will lead us. Pray that God will provide for us! Pray that God will increase our faith! And above all, pray that God will receive glory through us. God will do more than we can ask or think when we are energized to treasure His name and advance His kingdom! Even the word—“abortion”--creates an atmosphere of fear and anger. Most Americans don’t want to talk about it. Those who do seem pretty fixed in their opinions one way or another. This post is intended to offer some suggestions to help the discussion of this, the greatest issue which divides Americans. Most people don’t think about abortion very much. This comes as a great shock to those who are ardently “pro-life” or “pro-choice”. But it seems to me that most folks form some opinion on the issue and then want it to go away. I think that the words used in the debate form a large part of the confusion. Most people would say that they are for “life”. Equally, most people would say they are for “choice”. Having “life” and having “choices” seem to be good things. One question to ask those who believe in the “right to choose” is: The right to choose what? The infinitive demands an object. For a pregnant woman, the right to choose whether or not to have a baby has already been made. She has a baby. The real choice is now whether to destroy that baby or not. Many, of course, would object to this reasoning by suggesting that the pregnant woman does not have a baby but a mass of material that, if the woman chooses, becomes a baby. But life is not subject to such cavalier whimsy. Many arguments can be advanced pointing to the humanity of the life within the womb—biblical (see Jeremiah 1), scientific (see the research by the French geneticist Jerome LeJeune), and philosophical (see work by Francis Schaeffer among many others). 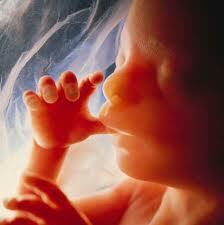 The argument that makes a lot of sense to me involves the nature of life within the womb. What shall we call this thing growing inside the woman? Is it a baby if and only if the mother wants it to be? Is it merely a mass of tissue otherwise? If it is merely a blob of tissue, what kind of tissue is it? It isn’t lion or bear or cow or pig tissue. It is, in undeniable fact, human tissue. Now, if it is human tissue, whose tissue is it? We might be tempted to believe that it is the woman’s tissue, but it is not, at least not in any biological sense. This tissue has a separate DNA code and separate organ systems from the woman. It most assuredly is not her tissue. Now we come to a startling question. If the mass of tissue is human and it is not the woman’s, whose tissue is it? It must be someone else’s! It’s that “someone else” who deserves to be heard in this debate. The “right to choose” cannot have a horrifying object—the right to choose--to kill--another person. The “mass of tissue” is alive; it is human; it is not the woman’s tissue. Whatever you want to call it, it cannot be that one person has the right to kill what belongs to another (or more properly, what is another!). So, the next time someone speaks of the “right to choose,” you might want to ask, “the right to choose what?” I find that most people don’t really believe in the right to choose to kill another person. But they like the euphemism of “choice.” It even sounds patriotic! We must urge people to think more precisely of the choices that are out there. When they do so, they won’t like one of those choices. According to London’s Daily Telegraph,[ii] Alberto Giubilini and Francesca Minerva of the Oxford Uehiro Centre for Practical Ethics declare in the Journal of Medical Ethics, “The moral status of an infant is equivalent to that of a fetus in the sense that both lack those properties that justify the attribution of a right to life to an individual.” Rather than being “actual persons”, newborns are merely “potential persons”. They explained: “Both a fetus and a newborn certainly are human beings and potential persons, but neither is a ‘person’ in the sense of ‘subject of a moral right to life’. We take ‘person’ to mean an individual who is capable of attributing to her own existence some (at least) basic value such that being deprived of this existence represents a loss to her.” As such they argued it was “not possible to damage a newborn by preventing her from developing the potentiality to become a person in the morally relevant sense”. The authors therefore concluded that what they call “‘after-birth abortion’ (killing a newborn) should be permissible in all the cases where abortion is, including cases where the newborn is not disabled”. While I can hardly believe that our nation has declined so far into the moral cesspool as to accept this argument immediately, there is little doubt that this is where the abortion debate is headed. I hope that you noticed the argument about the “unbearable burden on society, when the state economically provides for care.” Any scheme of nationalized health care must engage in “cost containment.” In a godless society (which ours is becoming), this will trump any ethical considerations of the intrinsic value of all human beings at whatever stage of development or capacity. In the church, this means that we must be prepared to bear the financial burden to care for the helpless, even defending their right to existence by civil disobedience if necessary. It could mean church based development of alternative medical care systems which operate outside the realm of contemporary modern medicine. Actually, who knows? Who can say where this road leads? We can only say that it is a bad road, and we need to prepare ourselves for it. I recognize that this article might bring painful memories on many of my dear readers. People who have been part of the pain of the abortion experience, more than any others, want the pain to go away. So our tendency is to try to hide, ignore, suppress, and dream away the facts. Actually, only by confronting this pain and taking it to our dear Savior and His cross will we be able to move past the pain into the joy of forgiveness. We cannot pretend that abortion is anything less than the killing of an innocent child. But, praise God, “the blood of Jesus Christ, God’s Son, purifies us from all sin.” (1 John 1:7) “All” means all! Mercy there was great and grace was free! Pardon there was multiplied to me! There my burdened soul found liberty! Several weeks ago, I posted a list of questions from Randy Alcorn designed to help us in give wisely to parachurch ministries. In our sermon series on giving, I had wanted to discuss another list of questions from Alcorn but didn't have the time. The list is entitled, "Forty Questions to Ask God About Your Giving," and can be found in its entirety here. Here are the first few questions just to give you a flavor of the insightful questions he asks. Check out the list... and enjoy!